Fresh from its Sucrogen Townsville 400 one-two, the Holden Racing Team has confirmed its driver pairings for the inaugural V8 Supercars Endurance Cup. 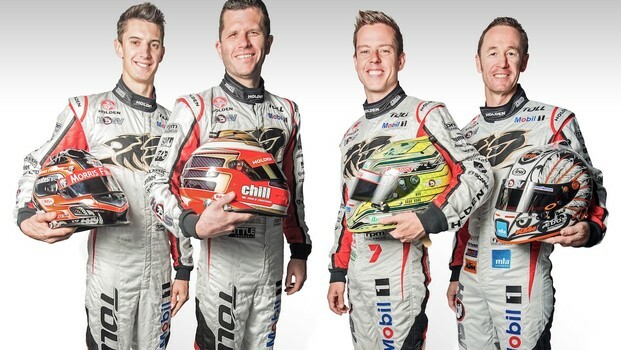 2011 rookie Bathurst winner Nick Percat and veteran Greg Murphy will join team regulars, Garth Tander and James Courtney at Sandown, Bathurst and the Gold Coast. 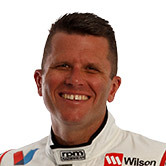 Four-time Bathurst winner Murphy will partner Courtney, while Tander and Percat team up for the third straight year, the partnerships decided because of the similar driver sizes. A Walkinshaw Racing-contracted driver, Percat has been brought back into the HRT line-up in the best interest of team balance after having earlier been announced as driving for WR customer Tony D’Alberto Racing. Holden Racing Team managing director Steve Hallam said HRT was armed with two formidable combinations. “Garth and Nick have won Bathurst together before, while James has scored three podium finishes in the biggest race of the year, and Greg’s record at Mount Panorama is undisputable,” Hallam said. “We thank Tony D’Alberto Racing for their co-operation and understanding with Nick, which has enabled us to present two very strong driver combinations. Across both cars, HRT’s combination boasts a combined total of eight Bathurst wins, two V8 Supercars titles and four victories in the traditional 500km Bathurst warm-up. Murphy also has three Gold Coast race wins to his credit, while Tander has won five races at the Surfers Paradise street circuit, including the first twin-driver race alongside Cameron McConville in 2010. 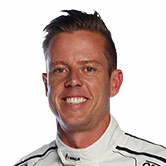 Tander said he was delighted to reunite with Percat and was looking forward to the year’s biggest races. “It’s fantastic to have Nick back; we’ve shared the car the past two years, obviously with a lot of success in 2011,” Tander said. Tander said he had full confidence in the 24-year old despite a mistake by Percat that denied the pair a chance of back-to-back wins at Mt Panorama. “Bathurst is a fantastic race when you win – it’s the highest of highs. It also creates the lowest of lows when it doesn’t go well. Percat said Tander’s trust was well appreciated and he was looking forward to another tilt at the mountain with the factory Holden team. “I’ve been involved with HRT since 2007 and continuing to drive with them at the endurance races is a dream come true – it really is a second family here for me,” Percat said. “Last year was a learning experience. There was just as much attention for making a mistake than what there was for winning the year before. Courtney said Murphy will give him his best chance to date of Bathurst success. “I’ve been to Bathurst with Champions like Jim Richards, Glenn Seton and Cam McConville, and now I get my best chance to date with Murph; he really lifts to another level at the mountain,” Courtney said. 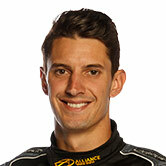 “I’m the only one of HRT’s four drivers that hasn’t won Bathurst yet. I’ve been close a few times but haven’t stood on the top step, so it would be great to do it this year with Murph. Murphy said HRT’s “no compromises” enduro line-up for the year’s biggest races was unsurpassed. “Winning Bathurst is the epitome of what we’re all here for. Things have changed in the Championship but Bathurst has retained its place as the absolute pinnacle of racing in Australia,” Murphy said. “Our pairings couldn’t be any better. Garth and Nick have already had great success at Bathurst and they go together well. It’s the same with James and myself. As well as participating in test days, Murphy and Percat have accumulated valuable racing miles in preparation for the 2013 enduros – Murphy leads the BNT New Zealand V8 SuperTourers while Percat is third in the Porsche Carrera Cup Australia standings. The V8 Supercars Endurance Cup will be contested across the season’s three long distance races, the Sandown 500 (13-15 September), Supercheap Auto Bathurst 1000 (10-12 October) and the Armor All Gold Coast 600 (25-27 October) – the Endurance Cup will be awarded to the drivers who score the most points across all three events. V8 Supercars teams are now able to choose drivers to compete across all three events, or in any combination they choose. Previously, co-drivers for Sandown and Bathurst were ineligible to compete on the Gold Coast.